PROVIDENCE, R.I. (Aug. 3rd, 2017) – Two titans of the combat sports industry over the last quarter century, CES Boxing and Foxwoods Resort Casino, team up to bring fight fans an epic night of live championship boxing combined with one of the most highly-anticipated events in the sport’s history. 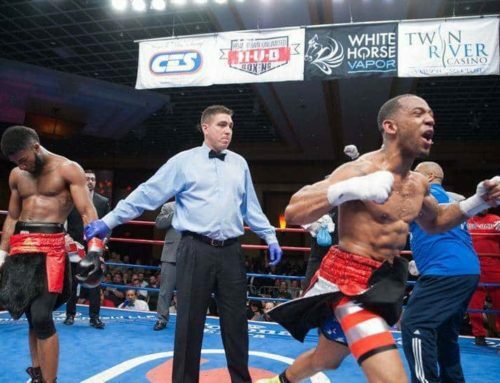 CES Boxing returns to Foxwoods’ The Premier Ballroom on Saturday, Aug. 26th, 2017 as New London, Conn., native Jimmy Williams (13-0-1, 5 KOs) defends his World Boxing Council U.S. National Boxing Council (WBC USNBC) Welterweight Title against Bronx, N.Y., vet Issouf Kinda (18-4, 7 KOs) just hours before the live showing of the Floyd Mayweather–Conor McGregor bout in Nevada at Foxwoods’ Grand Theater. All fight fans who purchase a ticket to Williams-Kinda receive free entry into the exclusive Pay Per View showing of Mayweather-McGregor beginning at 9 p.m. ET. 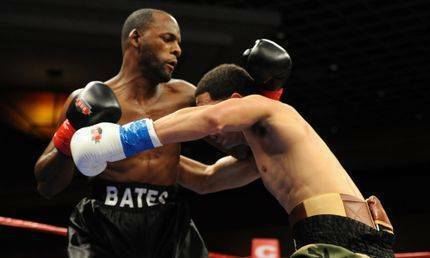 Tickets are priced at $55, $90, $155 and $325 and can be purchased online at www.cesboxing.com, www.foxwoods.com, or www.ticketmaster.com, by phone at 401-724-2253 or 800-200-2882 or at the Grand Theater Box Office. All $55, $90 and $155 tickets offer buyers a reserved ticket to the Mayweather-McGregor PPV. A $325 ticket purchase includes preferred seating. All bouts are subject to change. Tickets for the closed circuit event only can be purchased online at www.foxwoods.com, by phone at 800-200-2882 or through any TicketMaster location. The live card at The Premier Ballroom also airs live in its entirety on FITE TV Pay Per View for just $14.99 beginning at 6 ET / 3 PT. This landmark event continues the year-long 25th anniversary celebrations for CES Boxing and Foxwoods, which both began operations in 1992; fittingly, both CES and Foxwoods featured the legendary “Sucra” Ray Oliveira of New Bedford, Mass., a member of the CES Ring of Honor, in its inaugural events, the beginning of a long, successful partnership between the two entities. The tradition continues Aug. 26th as CES brings its brand of competitive, evenly-matched fights to the region’s preeminent combat sports destination while offering true fight fans a once-in-a-lifetime experience featuring the pageantry and splendor of professional boxing on all levels. “No promoter has brought more events to Foxwoods Resort Casino than CES Boxing,” CES president Jimmy Burchfield Sr. said, “so it’s only fitting we return as we both celebrate our 25th anniversaries. 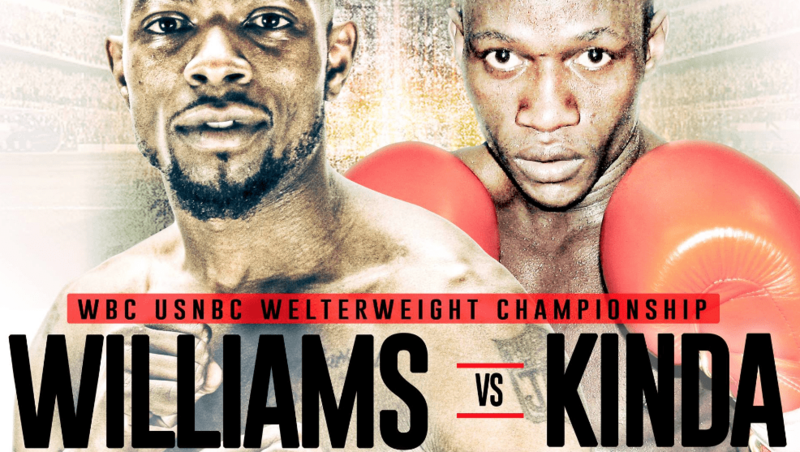 The Williams-Kinda 10-round headliner promises fireworks in the welterweight division as the unbeaten Williams faces his toughest test to date against the 29-year-old Kinda, a veteran of 22 professional fights and a former North American Boxing Organization (NABO) lightweight and WBC Continental Americas super lightweight title contender who boasts wins over Philadelphia vet Mike Arnaoutis and previously-unbeaten Zack Rasmey. 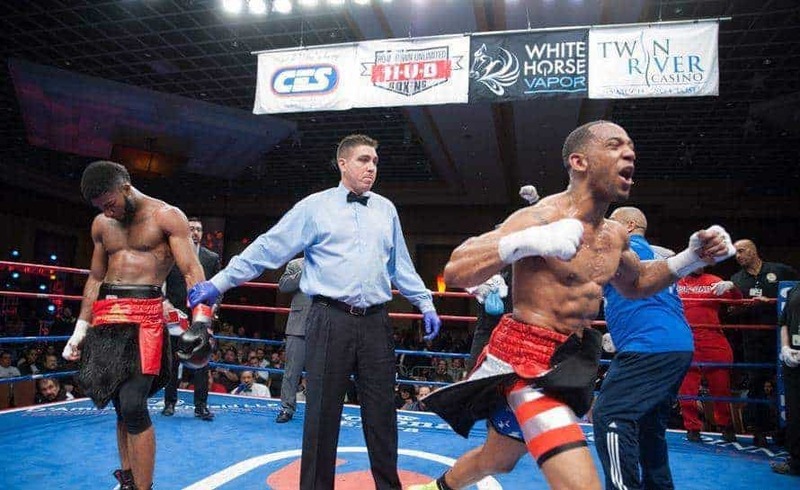 Williams is coming off his most impressive win to date, a dominant, 10-round unanimous decision victory over Rhode Island’s Nick DeLomba in April to capture the then-vacant WBC USNBC crown. The 30-year-old Williams, a full-time truancy officer for the West Haven school department, returns to his home base at Foxwoods – where he owns a 3-0 lifetime record – for the first time since July of 2016. 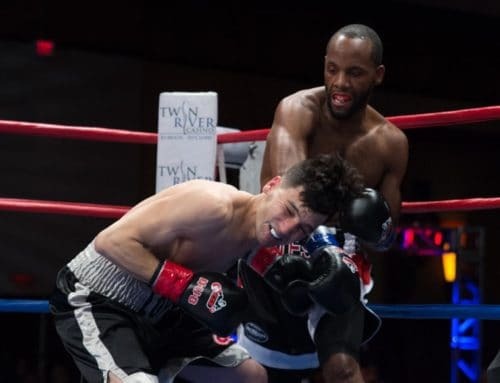 The preliminary card features several Connecticut standouts, among them New London junior welterweight Cristobal Marrero (4-0, 3 KOs), and cruiserweight Richard Rivera (2-0, 2 KOs), junior middleweight Jose Rivera (3-1, 3 KOs) and junior welterweight Jonathan Figueroa (2-1, 1 KO) of Hartford. Marrero battles Springfield, Mass., native Miguel Ortiz (2-0, 1 KO) in a six-round battle of unbeatens, a bout originally scheduled for June before Ortiz suffered a shoulder injury in training camp, while Rivera faces his toughest test to date against Auburn, Maine, vet Cristiano Pedro (1-1). The Aug. 26th preliminary card also features the Foxwoods debut of 6-foot-4 Sicilian heavyweight Juiseppe Cusumano (11-1, 9 KOs), who recently returned from an eight-month layoff in June with a devastating second-round knockout win over veteran Dan Biddle, his ninth consecutive victory. 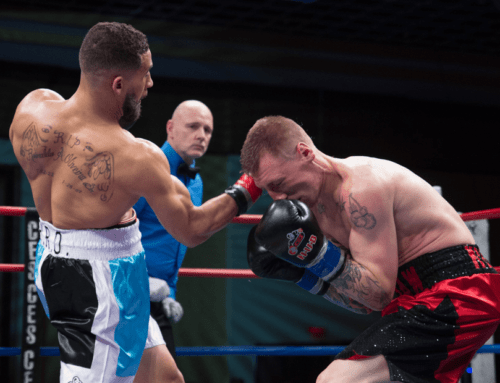 The relationship between CES and Foxwoods over the past 25 years includes some of the region’s greatest fights and fight cards, a total of 30 events spanning a quarter century. The highlights include Oliveira’s thrilling majority-decision win over Vince Phillips on ESPN in 2000; Oliveira’s record-setting ESPN showdown with Ben Tackie in 2001, which included 2,729 total punches, the third most punches thrown in a fight; a classic back-and-forth war between “Sandman” Scott Pemberton and Omar Sheika on ESPN in 2003; plus the WBC World Super Middleweight Championship between Eric Lucas and Rhode Island’s Vinny Paz in 2002, followed two years later by Paz’s historic 50th win over Tocker Pudwill. In 2007, junior welterweight sensation Jaime Clampitt defeated female boxing pioneer Jane Couch for the vacant International Women’s Boxing Federation (IWBF) world title, a card headlined by a thrilling super middleweight bout between Rhode Island icon Peter Manfredo Jr. and David Banks, also on ESPN. 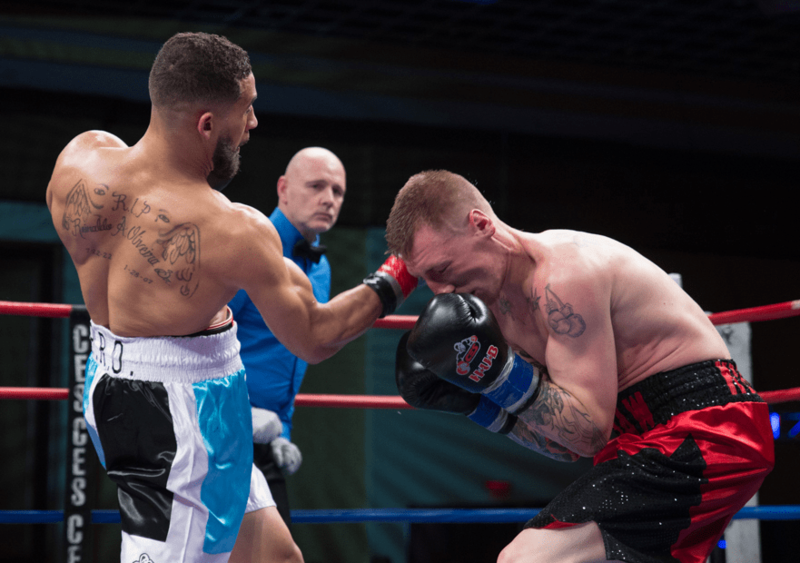 Three years later, CES Boxing ushered in a new decade of excellence at Foxwoods with a sold-out crowd at The Fox Theater to witness the highly-anticipated rematch between Connecticut fan-favorite Tony Grano and New Jersey heavyweight “Oak Tree” Mark Brown. Foxwoods was also the home of eight of the first 15 career bouts for former light heavyweight world champion and New Haven native Chad Dawson, who rose to prominence in the early 2000s under the guidance of Burchfield and CES Boxing. Fight fans can stream the entire Aug. 26th event live on their television by downloading the FITE app free from iTunes or Google Play and using the instant stream-to-TV function for full-screen viewing, or watch online from any device at www.fite.tv. The FITE app also works with any Wi-Fi connected TV, iOS and Android devices, as well as streaming devices such as Roku, Chromecast and more. Replays will be available for those unable to watch live. 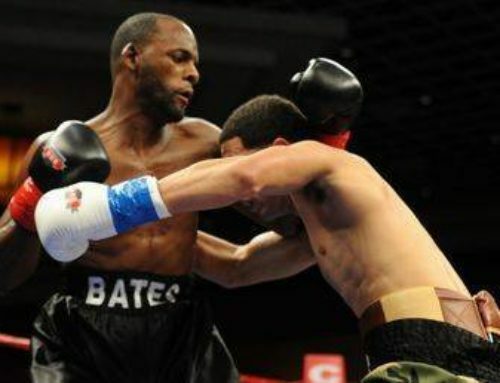 Michael Parente, Classic Entertainment & Sports, (401) 263-4990 or michael@cesboxing.com. Michael Weber, Flipps Media, (727) 424-9938 or michael.weber@flipps.com. Adam Jalbert, Foxwoods Resort Casino, (860) 312-3286 or ajalbert@foxwoods.com.